The Rotational Assembly Press (REMAP) was conceived for most demanding applications where both linear and rotational motion has to be applied. Each axis of motion can be independently and simultaneously controlled and monitored by the PROMESS application and programming software which is included. The software capabilities include the ability to create, monitore and store force versus position and torque versus angle signature curves. The REMAP is compact and easy to integrate into both new and existing systems. Unlike traditional linear/rotational systems involving complex designs and controls, the REMAP comes in one complete, ready to run package. Only the press ram is moving to fulfill the axial and rotational movement. That is why the system is often used for applications in narrow places like in gearboxes. The two axis are triggered via a power amplifier with integrated NC module. The risk processor fitted in the NC module takes over the control and monitoring of the REMAP. It can be programmed comfortably and easily with PROMESS software using a commercially available PC and thus guarantees the user the highest operating comfort as well as reliability. Data acquisition is effected realtime, so that all results can be analysed immediately and can be handed over to the higher level SPC. 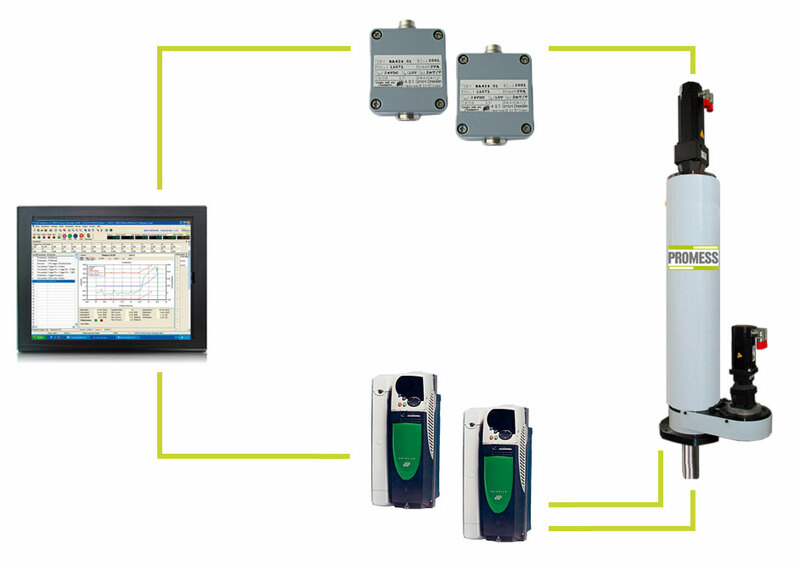 The output can be monitored by envelope or windows functions. Quality control data and press programs can be stored via the data base plug-in and can be used again at any time.